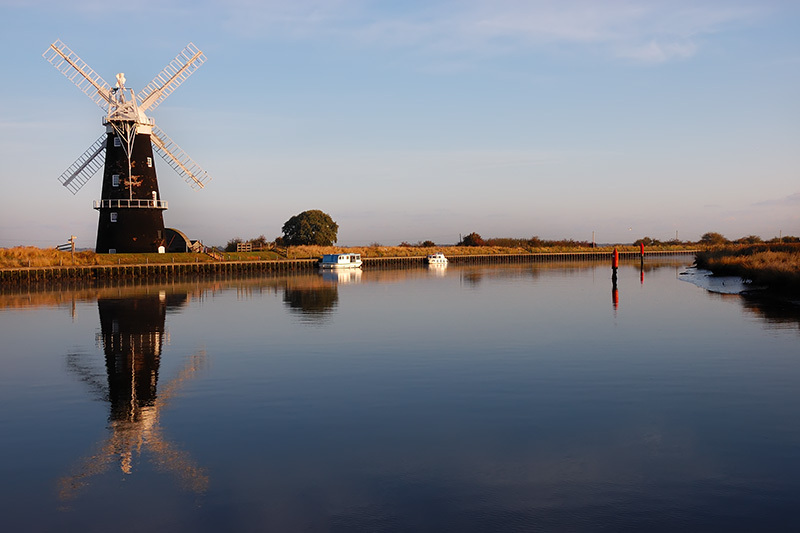 After the passing through the high ground around Reedham the Yare enters one of the remotest sections on the Broads. To the right the grazing marshes of Haddiscoe Island and on the left Reedham Marshes with it’s restored drainage mills. 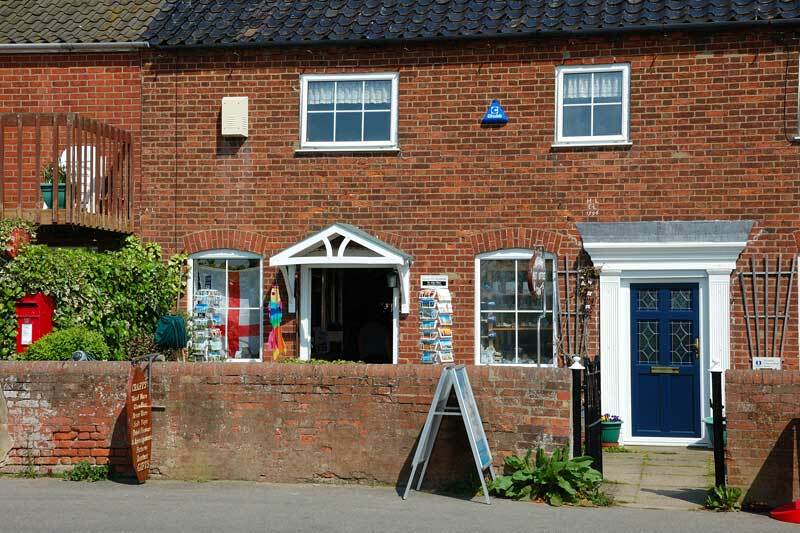 A mile below Reedham Ferry is the village of Reedham, the tide flows very fast and it’s imperative you come into moor against the tide. If when heading downstream you need to turn around to come into moor do so before the end of the public moorings. There are signs on the river to indicate this, if this is not possible then you must go through the swing bridge and turn around downstream. Approach the moorings dead slow against the tide, head slightly ahead of the available space with your bow pointing into the mooring. The tide will push you over to the mooring, taking care not to hit the boat behind. A quay attendant is available during the day to offer help and advice. 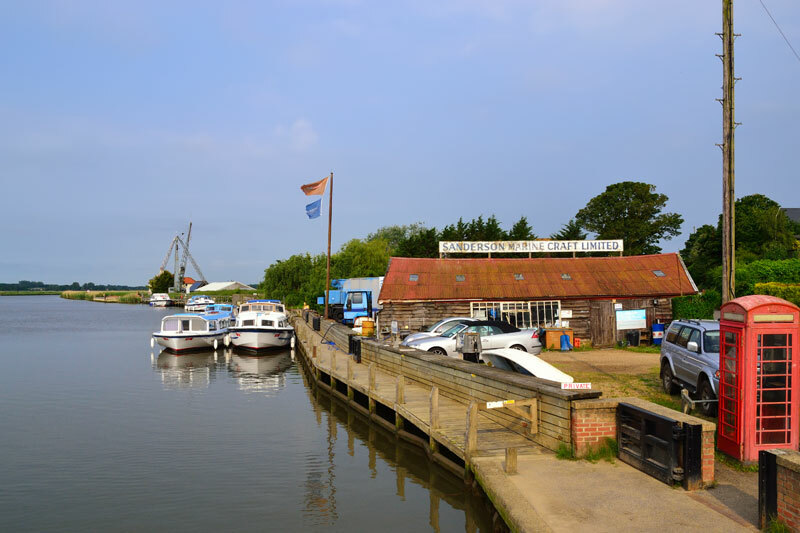 Moorings at Reedham are available on the left at Sanderson Marine Craft, Reedham Quay and at The Ship just before the railway swing bridge. Water and electric hook ups are available at the quay. 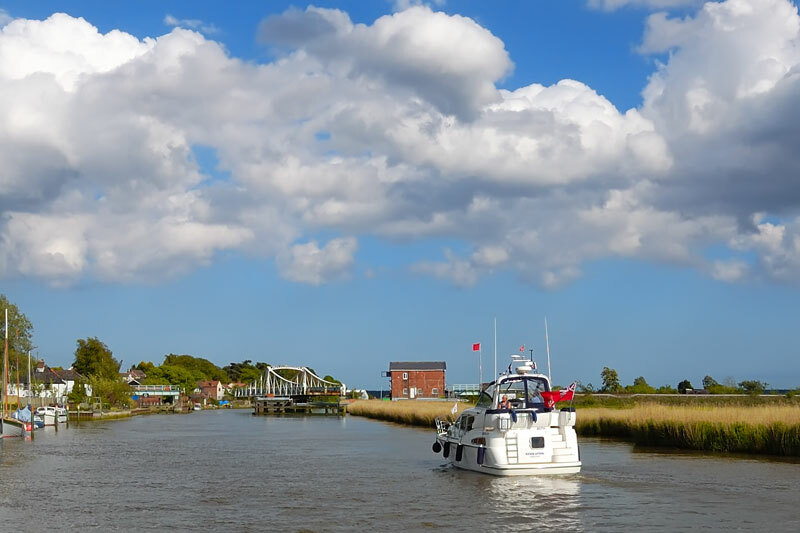 Reedham Swing Bridge has a height of 10ft at average high water and can be reached on VHF channel 12. 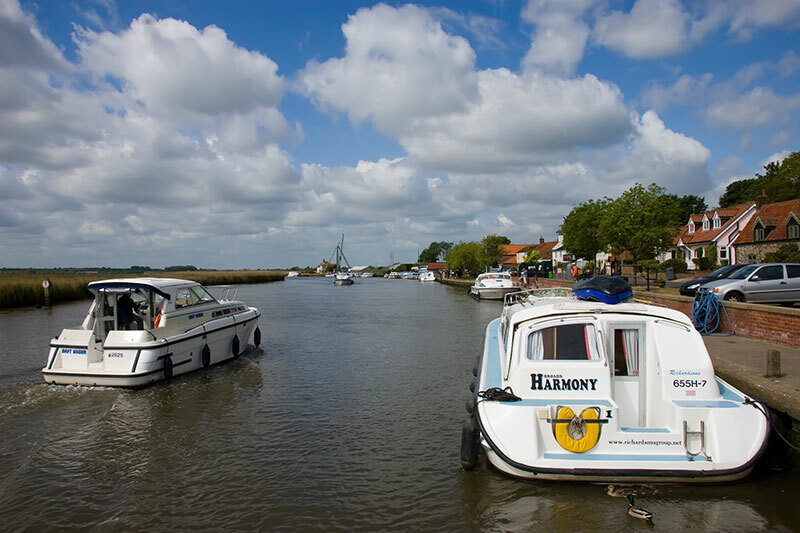 Reedham is a popular spot set in an attractive position overlooking Norton Marshes. The moorings at Reedham Quay are always busy and you can see why. Tubs of colourful flowers are dotted along its tree lined lawn areas with benches to sit and take in the view. The red bricked wall built to protect the village from the rising tides sits well in the immediate environment and is often busy with people eating an ice cream and watching the river traffic go up and down. 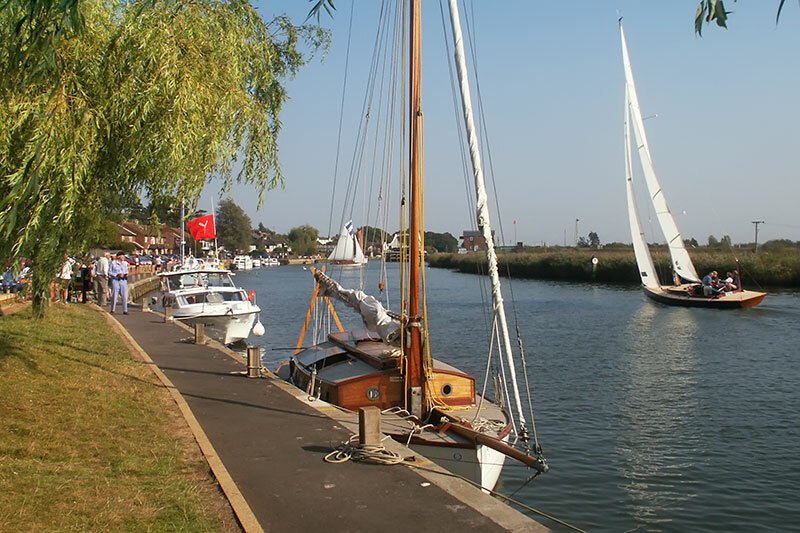 In September the quay makes for a good vantage point to watch the Yare Navigation Race. 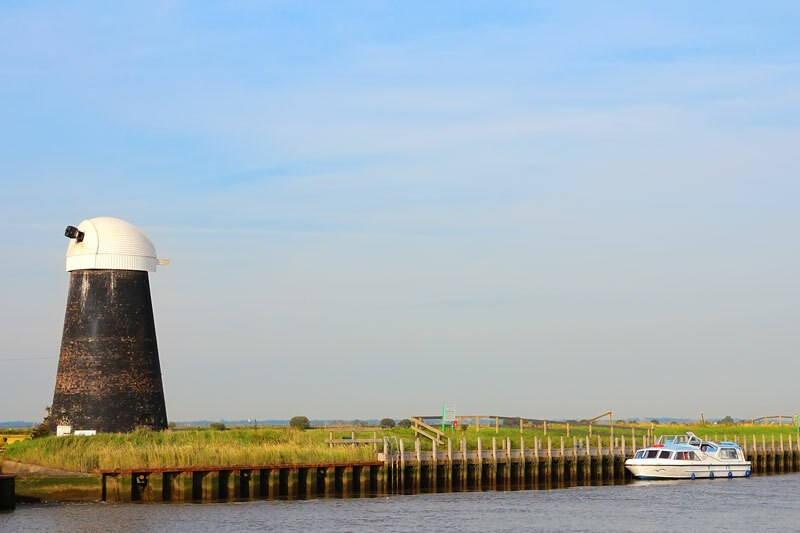 The race starts and finishes at Coldham Hall turning around at a marker buoy on Breydon Water, a distance of 30 –34 miles. It’s exciting just watching, especially when a number of yachts are manoeuvring while waiting for the swing bridge to open. 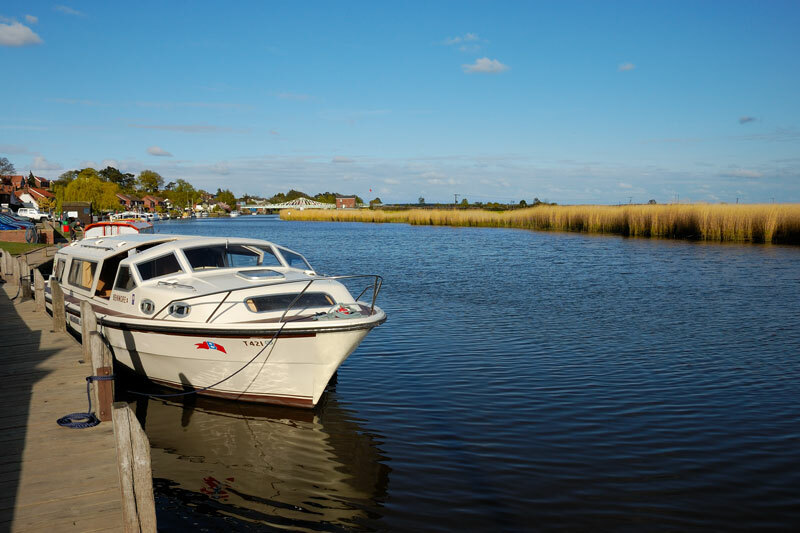 The public moorings at Reedham stretch from Sanderson Marine Craft to the slipway, the Broads Authority leases the moorings from Broadland District Council. Facilities include water, refuse disposal, electric hook ups and an information point manned by a Broads Authority ranger/quay attendant. 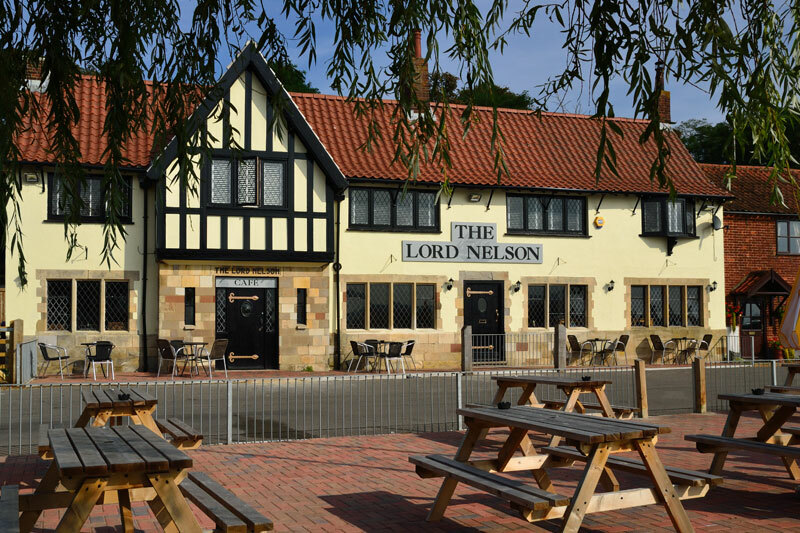 Mooring is also available for patrons of The Lord Nelson and Ship Inn. 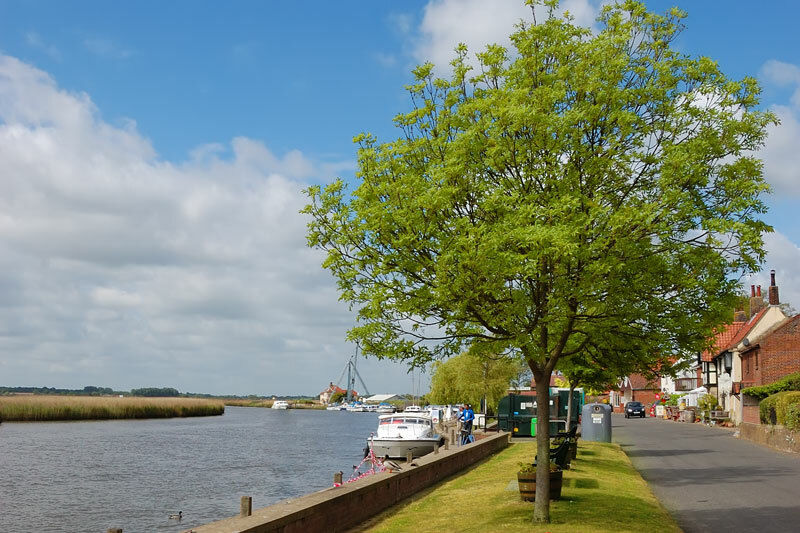 In the late 19th century Reedham Quay was a very different place, a grassy bank gently sloped towards the river with wooden piling to protect the bank To the west the first swing bridge had only just been built, it carried just a single track and was operated by hand. Bricks were stacked beside the quay awaiting collection, along with large tree trunks bought in to turn into wherry masts. To the east the wherry building yard of Halls of Reedham (now Sanderson Marine Craft) was busy building wherries. 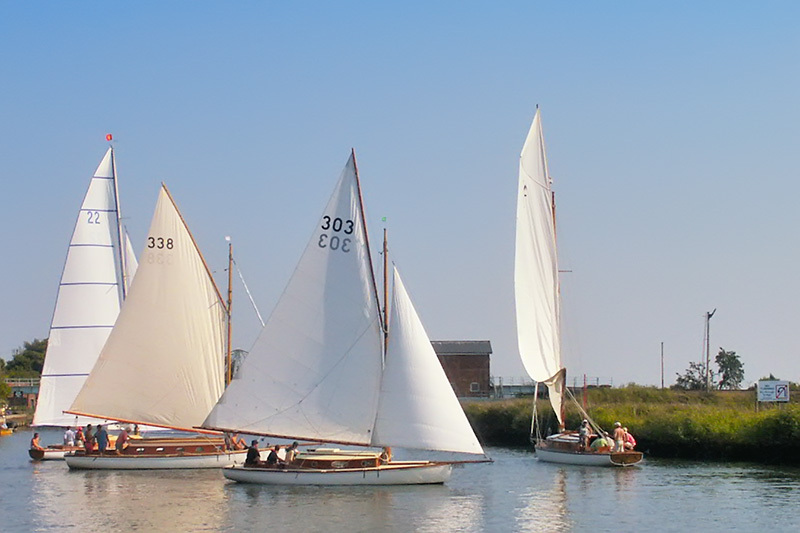 Even after the decline of the trading wherries like Maud, building of the pleasure wherry continued, including Solace and Hathor, both built at Halls yard at Reedham. 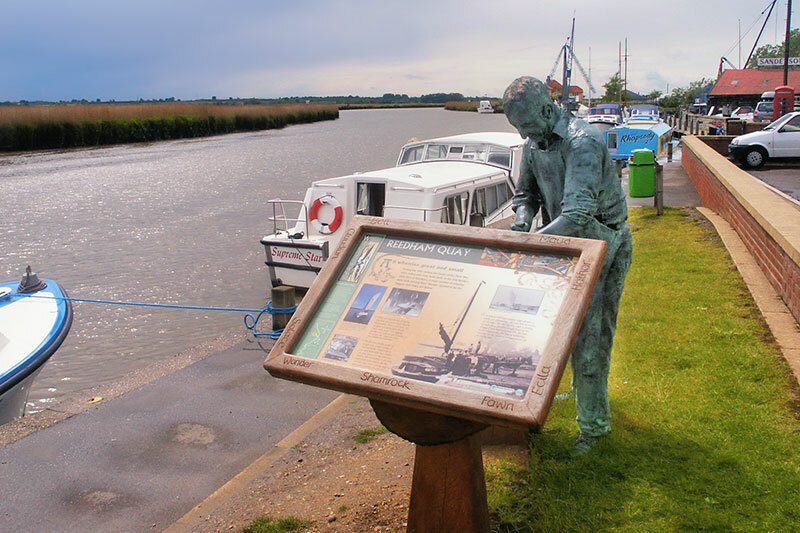 To commemorate this boat building tradition a sculpture of a boatwright stands beside the quay near Halls old boatyard. 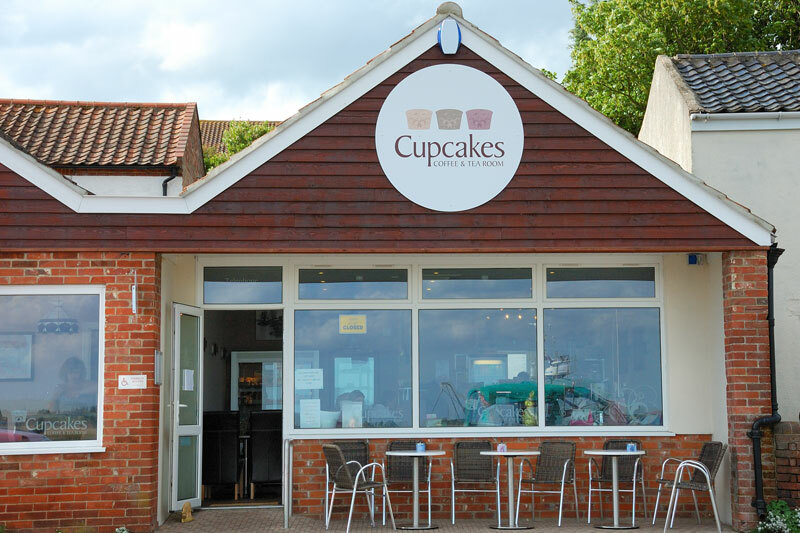 Across the road from the quay are a number of businesses including Cupcakes Tearoom (Closed Sept 2016) , Reedham Post Office and Craft Stores, The Lord Nelson Pub and The Ship Inn. Both pubs offer a good selection of real ales including from the local Humpty Dumpty Brewery. 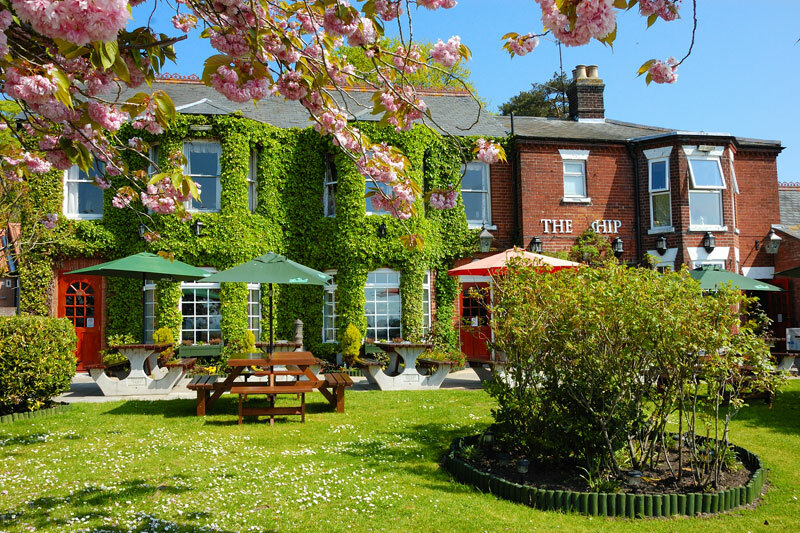 The Ship is a traditional pub offering good food in a pleasant environment with a lovely riverside garden with great views of the river and swing bridge. Up the hill in the village you will find a fish & chip shop open Thursday to Saturday and the village store. Further afield, about a 20 minute walk is the Humpty Dumpty Brewery and Pettitts Animal Adventure Park. There is a public footpath beside the railway bridge on Holly Farm Road that leads to Pettitts. 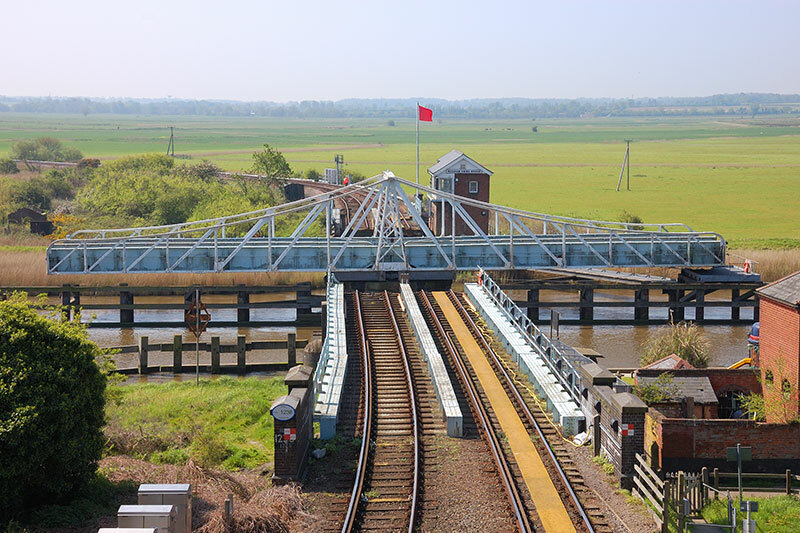 This bridge also offers excellent views of the Reedham Swing Bridge. Care is needed when leaving the quay at Reedham. Depending on the state of the tide and the direction in which you are facing it is sometimes best to leave the mooring stern first and reverse out into the river. Help and advice is available from the Broads Authority quay attendant. Slow down as Reedham Swing Bridge is reached (10ft headroom) and give way to craft travelling with the tide. After passing through the bridge on the right is a pontoon reserved for yachts de-masting/waiting. 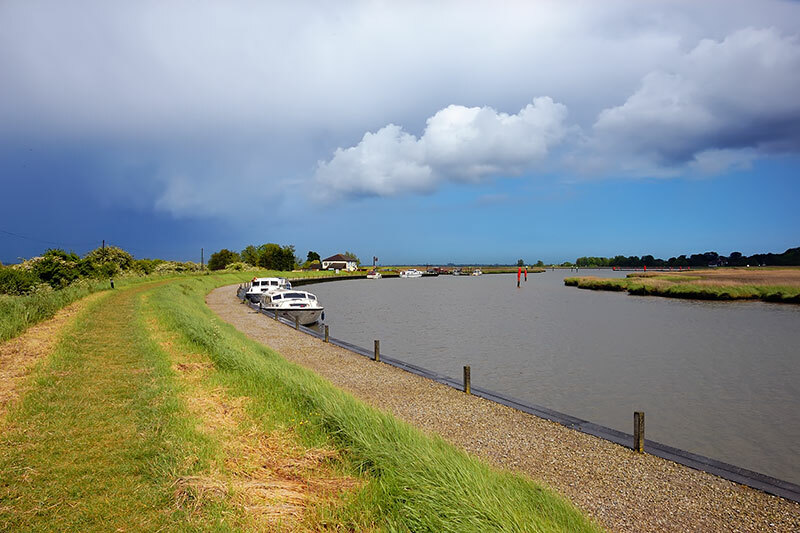 On the left is a private marina and on the right the entrance to Haddiscoe New Cut. 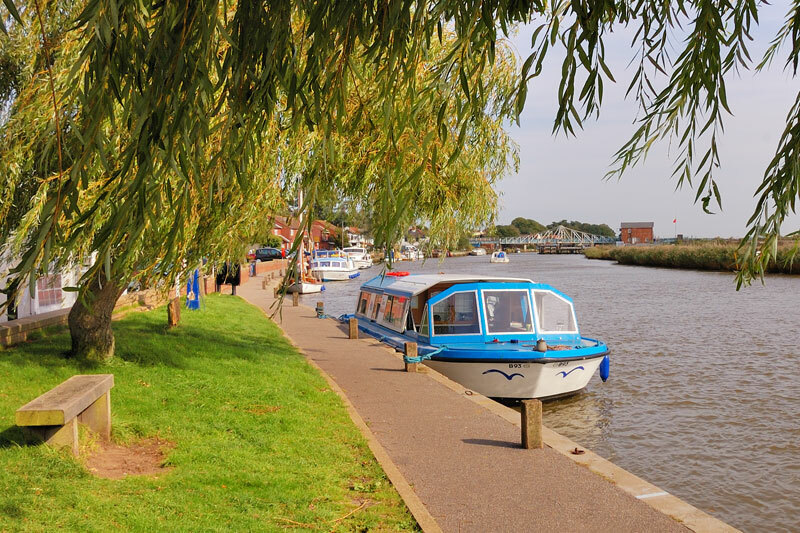 The New Cut is a canal like section dug in 1833, it was constructed to encourage commercial traffic to use the docks at Lowestoft rather than Great Yarmouth. Its purpose being to reduce the distance from the Yare at Reedham to the Waveney at St Olaves, a reduction of seven miles. The tide ebbs and flows from the Yare end. The cut is 2 ½ miles long, the fixed Haddiscoe Bridge at St Olaves has headroom of 24ft at average high water. 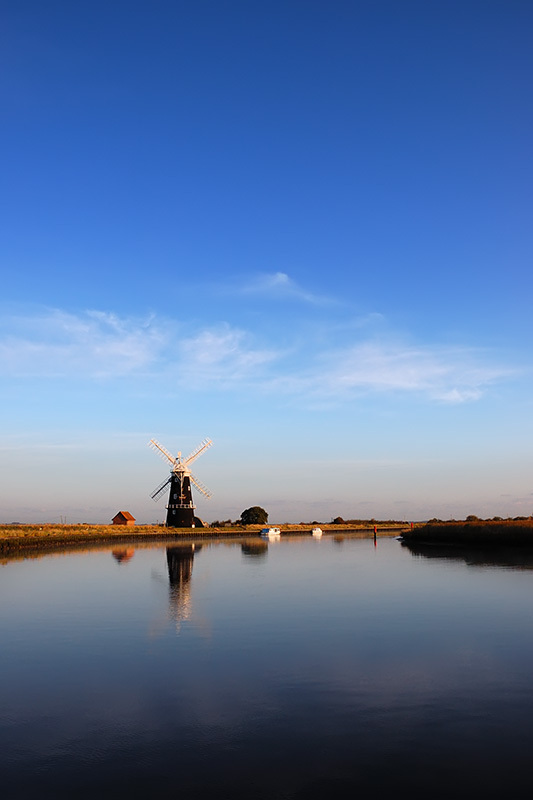 The River Yare meanders gently beside Haddiscoe Island with 360-degree views and vast skies above. Seven Mile House (private) and Polkeys Mill moorings are 2 miles below the New Cut. Like at Reedham the tide flows fast so it’s important to come in to moor against the tide. Polkeys and Cadge’s Mill along with the now derelict North Mill drained Reedham Marshes. Cadge’s Mill is closest to Polkey’s Mill Moorings and was built between 1870 and the early 1880’s. The mill was in use until replaced by a diesel pump in 1941. A new cap was installed in 2006, the mill contains the electrical switchgear for the nearby electric pump. The Norfolk Windmills Trust restored Polkeys and Cadge’s Mill. Together with the adjacent steam engine house, diesel pump shed and nearby electric pump they represent all the different forms of drainage used on the Broads. 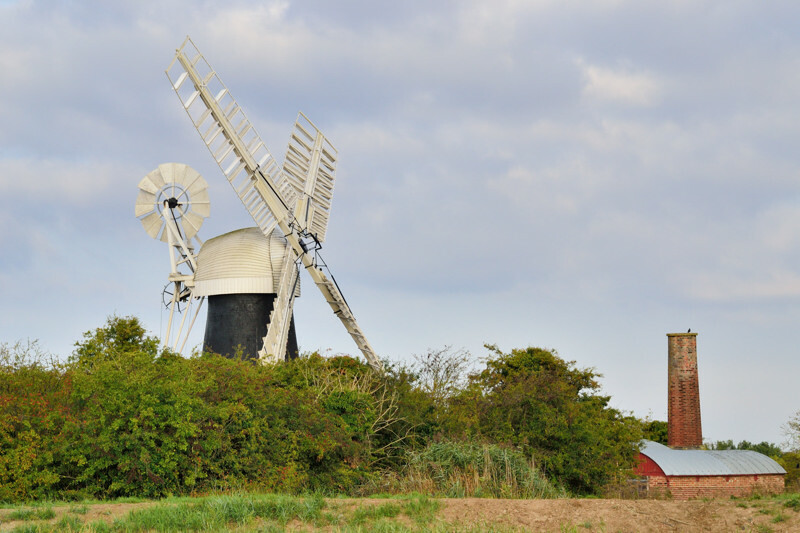 Built sometime prior to 1880 Polkeys Mill was in use until 1941, unusually the sails turn in a clockwise direction. There is an exhibition within the building on the drainage of the marshes. The mill is open and weather permitting in operation during the National Mills Weekend held in May. The Yare continues on it’s way meandering through Reedham and Berney Marshes towards Berney Arms, soke dykes along this section hint at the state of the tide as they either fill or empty. In the distance 2 1/2 miles below Polkeys Mill is the mill at Berney Arms. Keep to the marked channel on approaching Berney Arms Mill. The moorings here are split into a number of sections. There are two Broads Authority moorings, Berney Mill and Berney Arms Reach. A section near Berney Arms pub is privately owned and therefore a fee maybe payable. Berney Arms takes it’s name from the local landowner Thomas Trench Berney who sold the land here to the railway on condition they would build a station to serve the area. 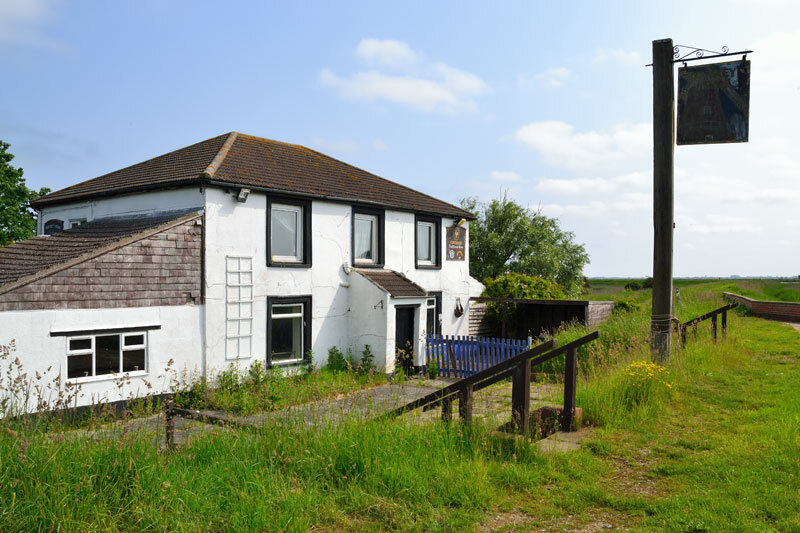 The mill and nearby pub can only be reached on foot, rail or by boat, it has no road access. 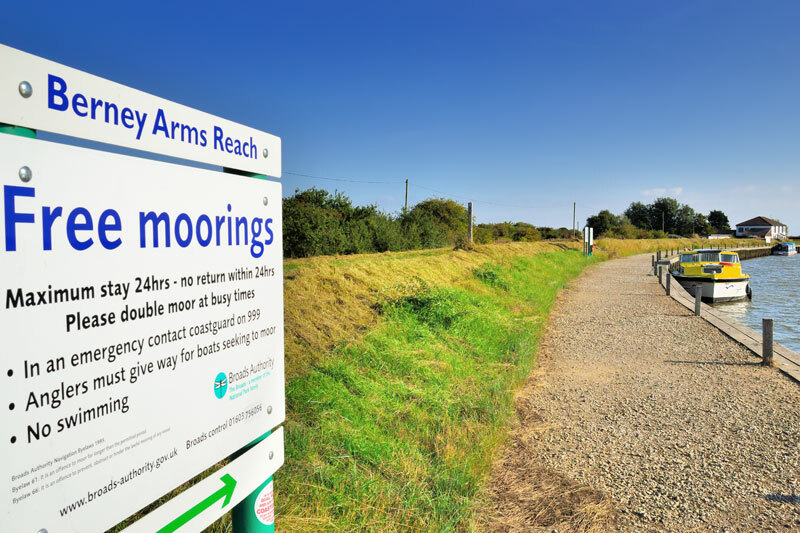 Berney Arms moorings are the ideal place to moor while waiting for low tide at Great Yarmouth. The tide flows fast here with a rise and fall of 4 ft. 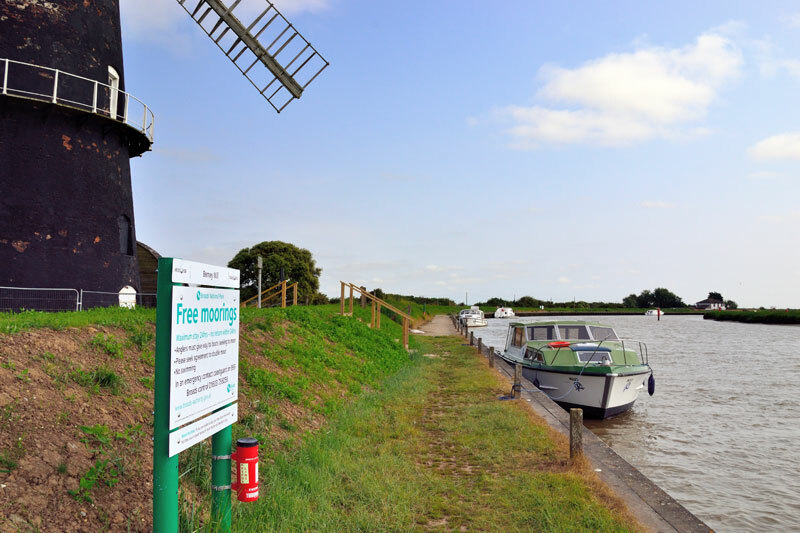 It is the first safe mooring after crossing Breydon Water from Yarmouth and the last safe mooring before crossing Breydon Water if travelling from Reedham. There are two Broads Authority 24 hour moorings here. Berney Mill Moorings which as you may imagine is right under Berney Arms Mill. A little further down is Berney Arms Reach Moorings. 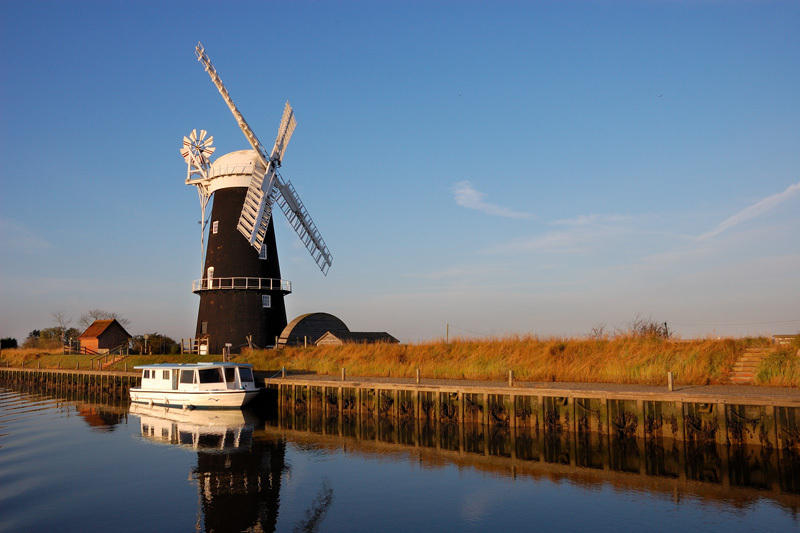 The two sections of Broads Authority moorings do not appear to be one continuous length. The RSPB nature reserve at Berney Marshes attracts a large number of birds. These include Lapwing, Common Redshank and Common Snipe. 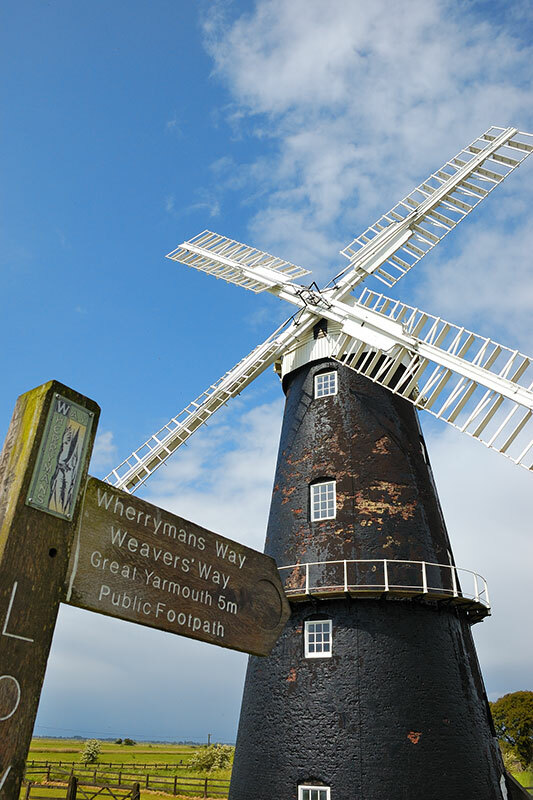 Berney Arms Mill stands at over 70 ft high and is the tallest mill in Norfolk. It is a scheduled ancient monument in the care of English Heritage. It was build by millwrights Stolworthy of Great Yarmouth in 1865 to grind cement. 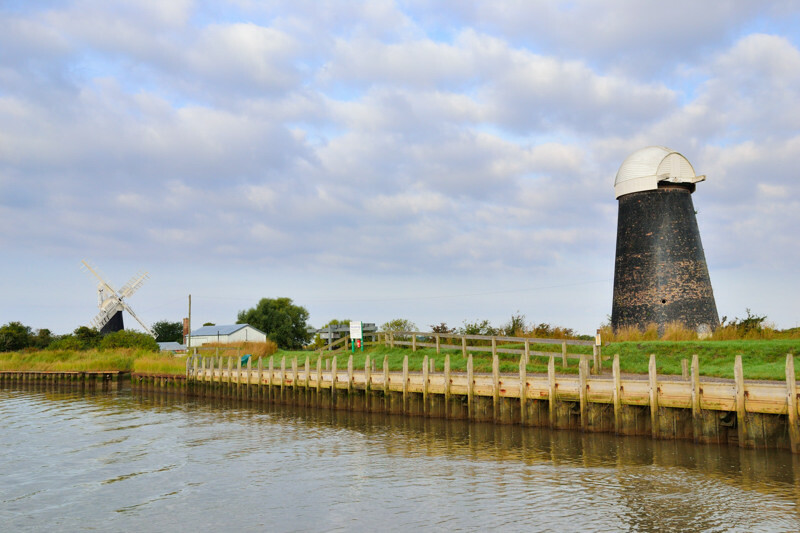 After conversion to a windpump in 1886 the mill continued in use until 1948. The cap, fantail and finally in 2007 the sails were replaced. The mill is open to pre-booked group tours only. The white painted Berney Arms Pub is Broadlands remotest pub. The pub has a small beer garden with picnic tables and a long stretch of moorings for patrons. It is currently closed (September 2018). Berney Arms Cafe has opened in a building adjacent to the pub but at the time of writing I am unsure of the opening times. 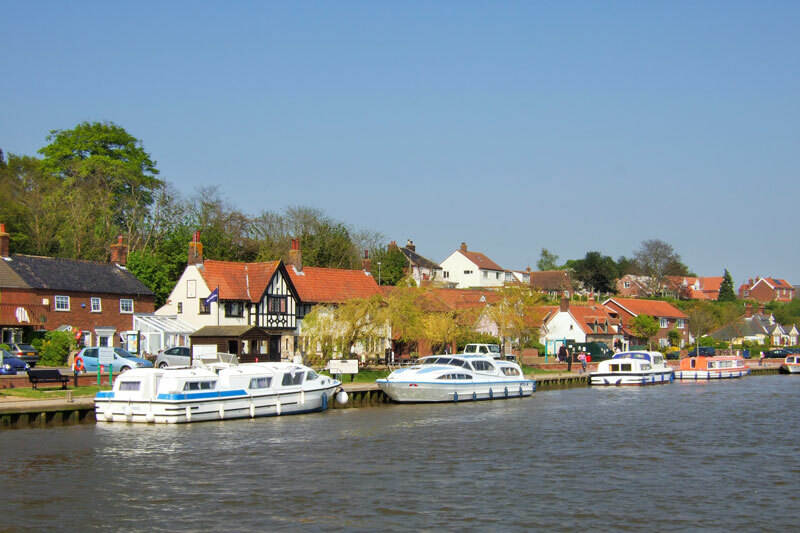 From the moorings at Berney Arms it is just a short distance to the confluence of the Yare and Waveney and the start of Breydon Water. 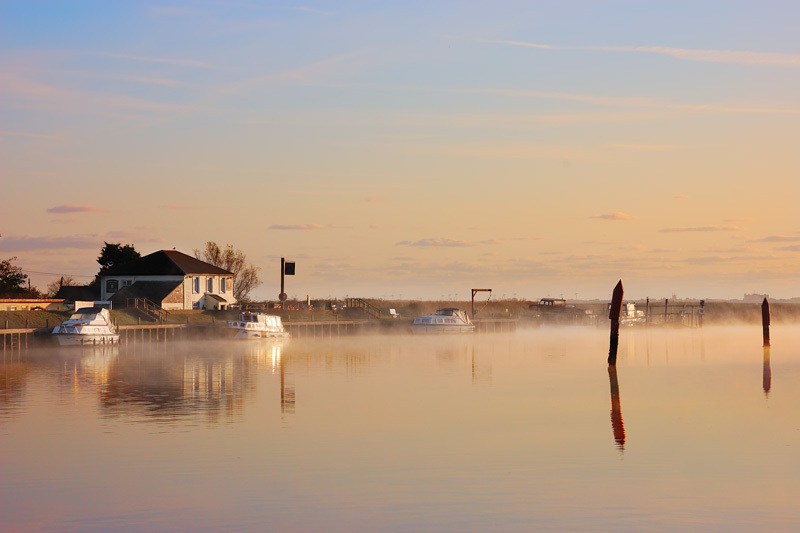 If you have moored at Berney Arms overnight for an early morning crossing of Breydon Water please bear in mind that early morning mist is quite common.